The SBSRFC Headwear Program [SHWP] features toned down colors, minimal branding, an uncompromised quality in materials, and fine tuned details which are key characteristics of our brand and its core DNA. 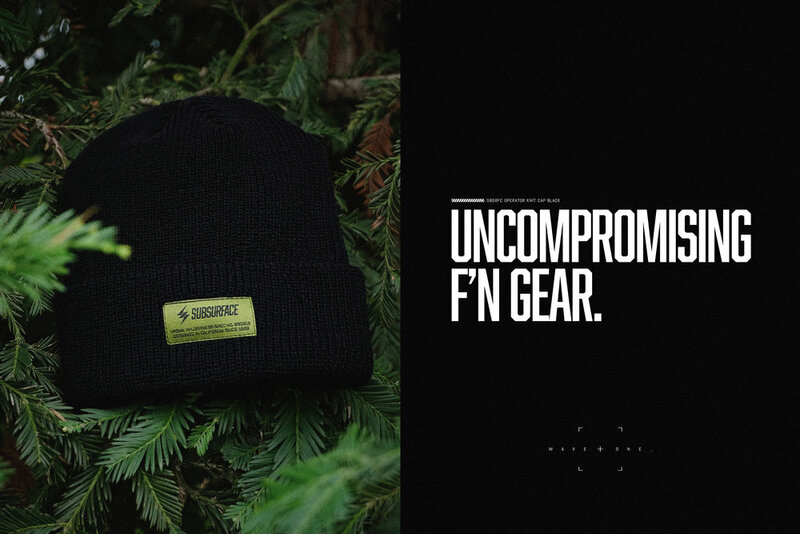 The SBSRFC Operator Knit Cap, a part of the [SHWP], is crafted from a heavyweight, loosely-knit acrylic accompanied by a comfortable ribbed fitting. Our caps are executed in colorways that complement the urban and outdoor environment mission. Uncompromising f’n gear.